Teach students a methodology for rational engineering analysis of problems in mass and heat transport. 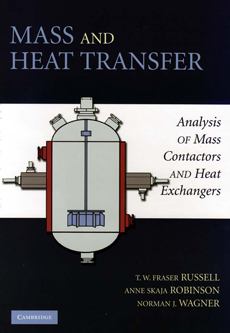 Using model equations, teach students to design and interpret laboratory experiments and then to effectively tranlate this knowledge to the operation and design of mass and heat transfer equipment. Develop the students' molecular understanding of the mechanisms of mass and heat transfer in fluids and solids.